This is playtime at the Masterton Central School in 1955. In contrast to 19th-century school playgrounds, this playground is well-equipped with slides and monkey bars. 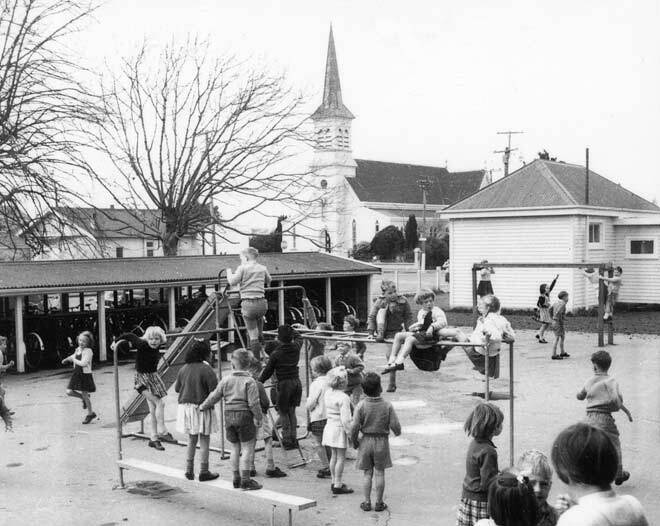 In the mid-20th century playground equipment was generally made from metal and wood, and with hard surfaces beneath the equipment.